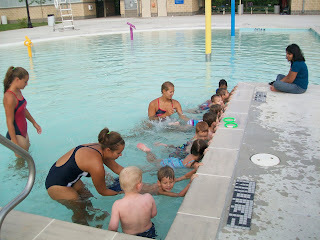 Dawson has been taking swimming lessons at our city pool this week. He was very excited about it and seems to have enjoyed it for the most part. 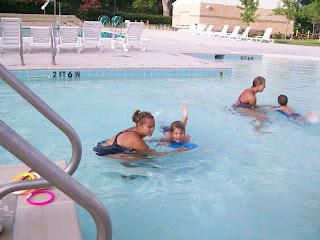 He's learned a few new things and gained confidence in his swimming ability. 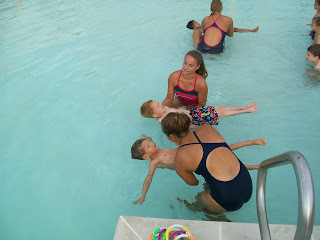 He is able to swim a good distance on his own now and is making "big circles" with his arms. I'm so proud of him!! 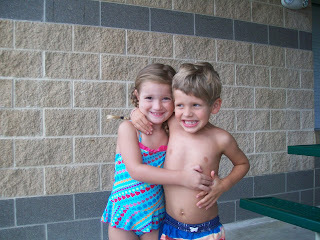 Kaelin and Dawson excited the first day of swim class. Holding hands and dancing around. I love seeing them so happy! All the kids sitting on the wall and telling the "teachers" their names. Holding onto the wall and kicking. 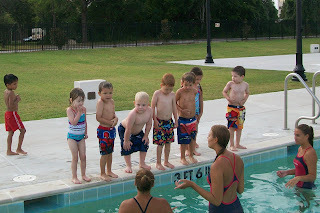 Listening to the lifeguards instructions. 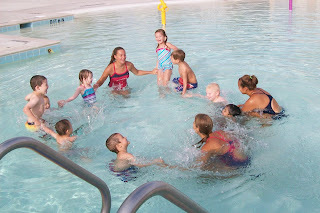 Playing ring-around-the-rosie, something Dawson looks forward to at each swim class. 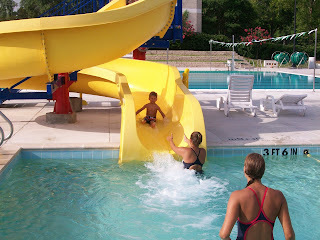 Coming down the water slide!! 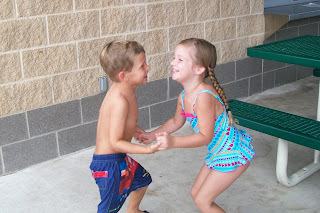 Dawson and Kaelin are so super cute and sweet together!! !